Not currently available to purchase online – view more pictures, further details and make enquiry. 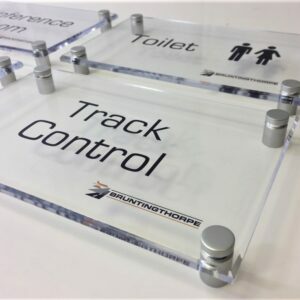 The BuySigns range of engraved steel signs will provide a superb contemporary addition to your home or business. 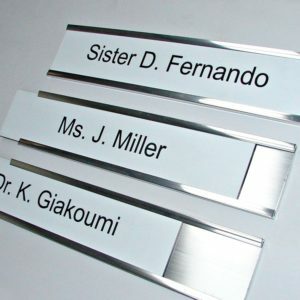 All signs are cut from 2mm thick 316 marine grade stainless steel with a brushed finish. This grade of steel is particularly resistant to corrosion and makes an ideal sign for hard weathered coastal locations. 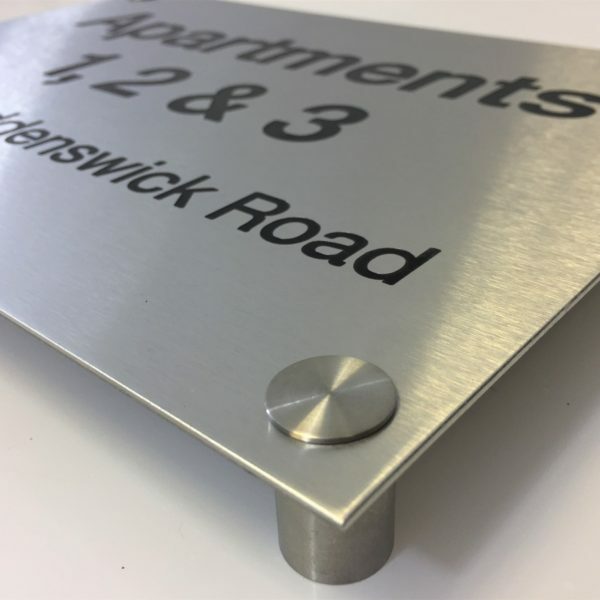 Once your chosen design has been mechanically engraved into the surface of the steel we use a hard wearing enamel based paint, in a choice of colours, to infill the engraving. If it’s a business sign you are looking to order for a small additional charge we can also add colours to almost any Pantone colour you require. 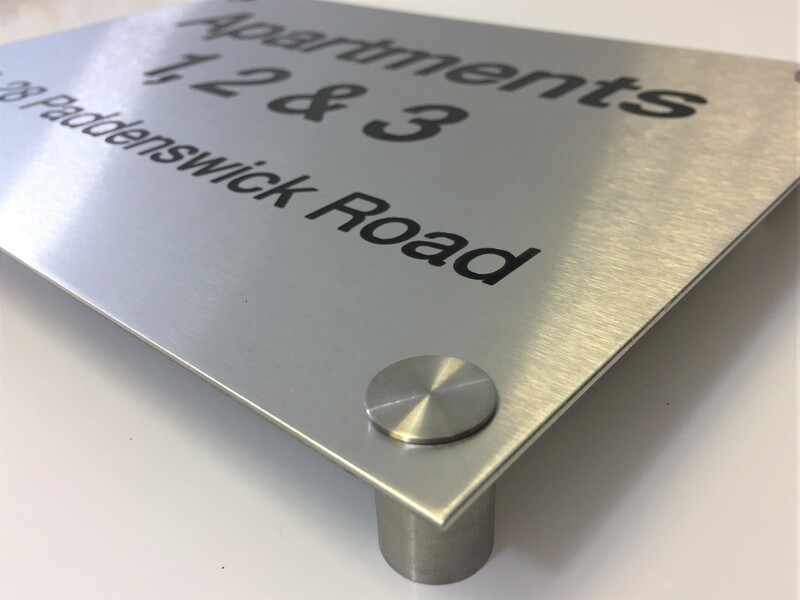 We can provide your sign with either matching stainless steel lockable stand-off fixings which ‘float’ the sign slightly off the wall for a contemporary look or if your prefer it can be flush fitted with screws and matching screw caps. Available in a pretty much any size you require please see below some guide prices on a range of popular sizes. Prices shown are with the sign having either one standard line of text or two or more. Prices ex Vat and delivery. 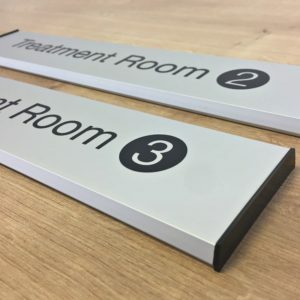 Our talented team provide a customised service, including free digital proofs, to ensure that your signs provide the information required whilst encompassing your corporate identity.